Lillian Rose 8" Cameo Ring Pillow. Show your love of the outdoors with this camouflage ring pillow. 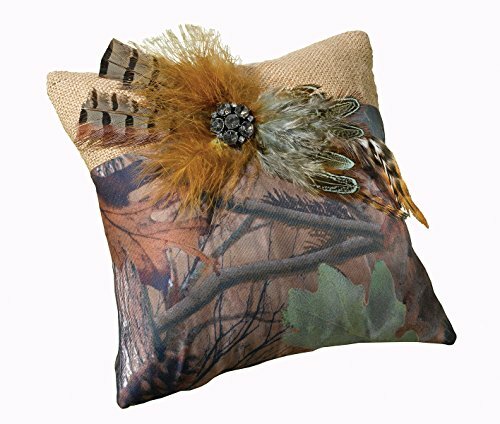 This burlap and satin cameo ring pillow measures 8" and features assorted feathers and rhinestone accent.